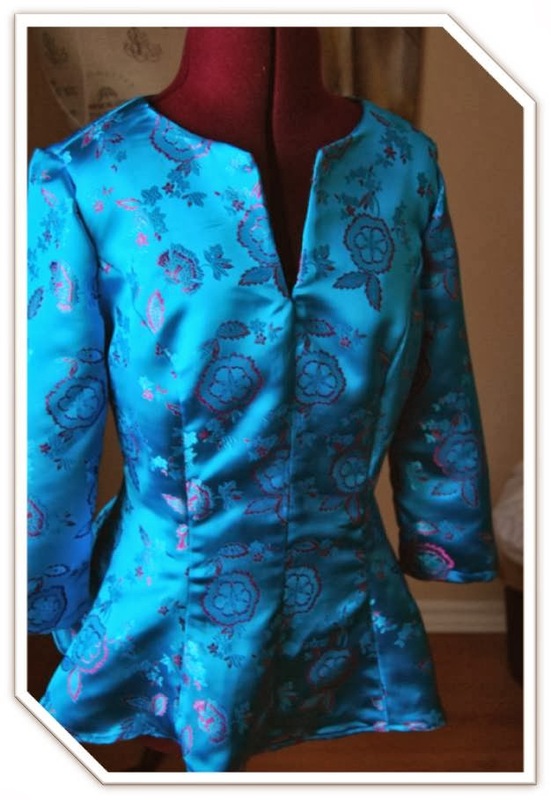 The Sewing Diet: Brocade?, Okay! We just got hit with another snow storm and so I want not make something with cool colours. 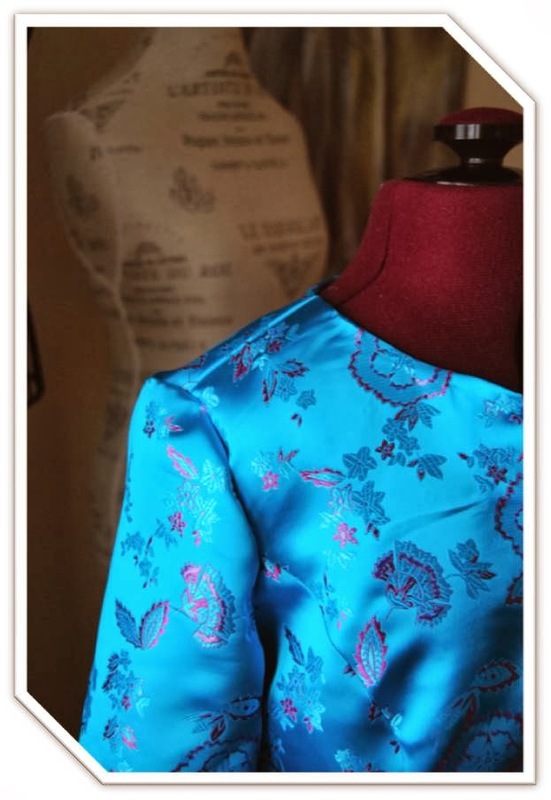 I had this very bright Blue and pink Chinese Brocade sitting in my fabric collection. It wasn't enough to do a full dress but enough to make this very cute McCall's 6896 top. After sewing this up, I don't think I would want a full dress. The fabric is pretty bright and it makes me happy. Pattern Description: Close-fitting and flared tops have neckline variations, princess seams and back zipper. Pattern Sizing: I cut a size 8. Did it look like the photo/drawing on the pattern envelope once you were done sewing with it? Yep, it sure did. Were the instructions easy to follow? I didn't use the instructions. What did you particularly like or dislike about the pattern? I like simple design and the variation of sleeves and neckline that came with the pattern. 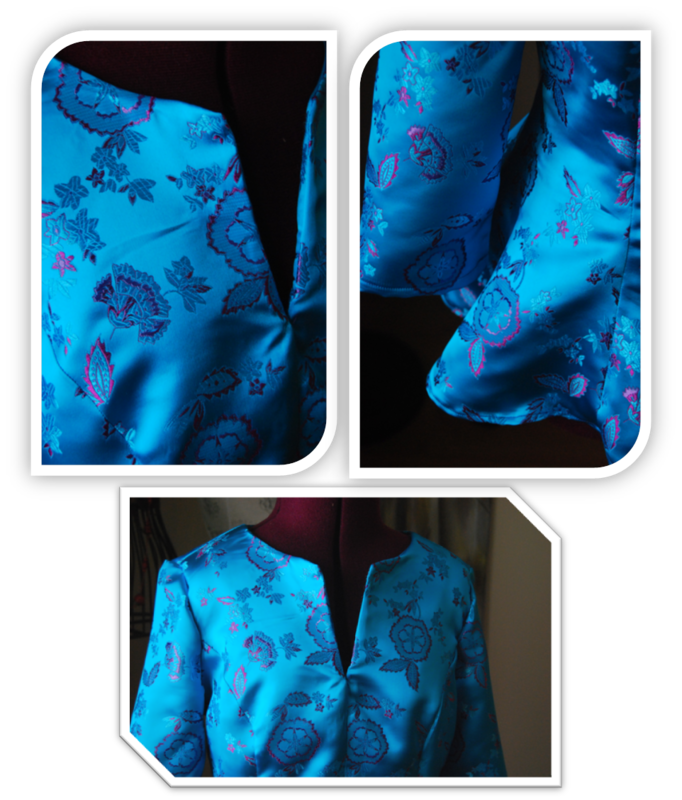 Fabric Used: I used a blue and pink Chinese Brocade fabric. If you are using this fabric, I high recommend that you serge the edges prior to sewing. This is avoid the fabric from fraying. At the end of this project, I had so my loose fabric thread all over me. Pattern alterations or any design changes you made: I did a FBA to the top. I cut a size 8 because the finished measurement fit nicely in the waist and so I needed to add approx. 1/2" to the bust. I never did a FBA with princess seams. There are so many great online resources that made it easy for me to complete. Would you sew it again? Would you recommend it to others? Yes, I will probably sew it again. I am thinking maybe a sleeveless option in a lighter fabric for the summer. I would recommend this for others because of how simple is came together and the various design options that are available. Wow, I have 2 different brocade fabrics that were gifted to me and I had NO IDEA what to do with them! Thanks for offering a fresh perspective!